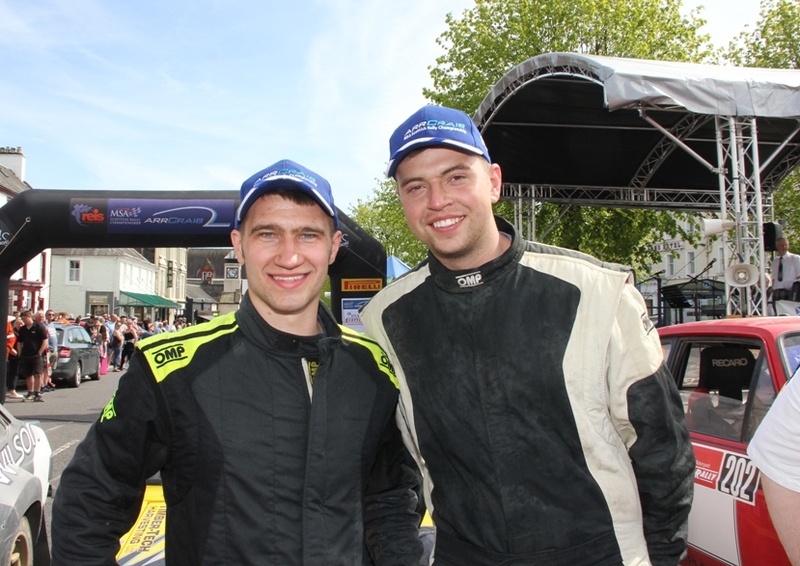 Greg McKnight scored his first outright rally win when he won today's 2WD RSAC Rally. His winning margin of over a minute made it look easy, but it in rallying, nothing is ever easy. On the first stage he lost all the oil from a front damper and with no spare had to carry on. Then a puzzling misfire appeared and it seems to have been caused by the ceramic collar on the spark plugs cracking. Then the alternator packed in on the final stage: "We didn't have a spare for that either," said Greg, "so we are lucky to be here." Initially Matthew Robinson and Iain Wilson were having a rare old tussle for second place, but over the final two stages Wilson opened up the gap to ensure the Yorkshireman stayed in third place. As predicted dust was an issue during the day as Matthew explained: "I've got more dust in my chest after a day's rallying than a week's worth of road planing," said the roadbuilding contractor at the finish, while clutching a Magnum double caramel, "purely to unclog my throat, you understand," he added. Wilson was rather less polite: "Half way through the first stage I tried to swallow. Wrong move," said Iain, "I should have spat, not swallowed, I nearly choked!" 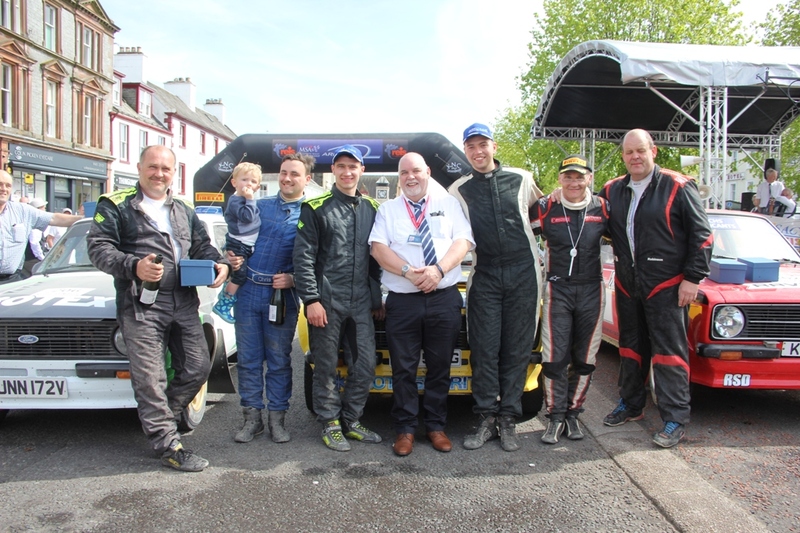 Angus Lawrie's fourth place was nothing short of magnificent in the Corsa while Keith Riddick was equally impressive in his fifth placed MG ZR. "I had a bit of a moment in SS4," said Angus, "but that was because the tyres were wearing out so quickly," while Riddick had his own troubles as co-driver Kirsty explained: "On the start line of the first stage I wound down the window to hand out my Time Card, but then the window wouldn't go up, but we got it fixed at the end of SS2," said the dust caked Kirsty. Keith added: "We also broke an engine mounting. 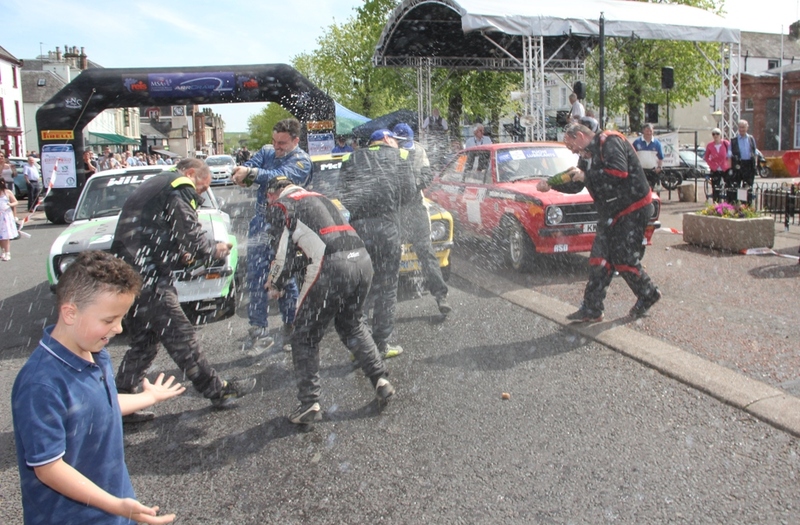 It was a bit rough in places for the wee MG."
Both young drivers were well chuffed with their equal third fastest through the penultimate stage behind Wilson and McKnight. Rounding off the top six overall was Steve Bannister.